Available now at: A set for immediate commissioning of the operating mode selector switch PITmode. The operating mode selector switch PITmode is available immediately as a Starter Set. In a single set you have everything you need to commission the PITmode immediately. 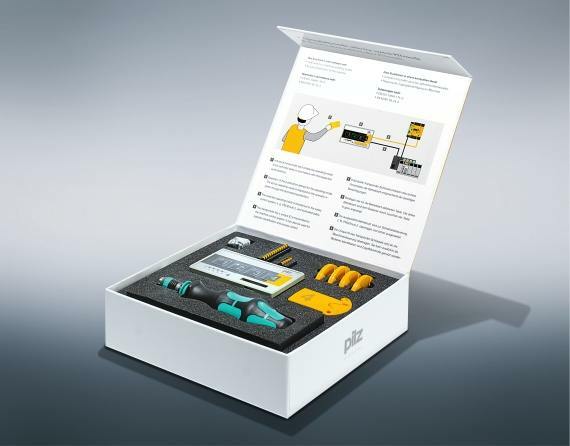 Components in the set include a PITmode with pictograms for machine tools, one transponder key each for operating modes one to four, one transponder key for the concealed "Service" operating mode, one set of spring-loaded terminals and some fixing screws. With the multi-bit screwdriver you can apply, install and commission the PITmode immediately. The operating mode selector switch PITmode provides two functions in one compact unit: safe selection of defined operating modes and access authorisation for the machine. A transponder key gives every user the machine enables that match his abilities. Identification numbers are used in the machine control system to assign authorisations, which control access. The PITmode can be used on plant and machinery in which a range of control sequences and operating modes are used. It is available with pushbuttons, either with or without pictograms for machine tools. Selected operating mode and authorisation level can be identified quickly and read clearly via LEDs. High level of safety, as manipulation protection is increased through the RFID transponder key. Long service life thanks to non-contact principle (maintenance-free and non-wearing). Saves space, as operating mode selector switch and access authorisation are combined in one unit.